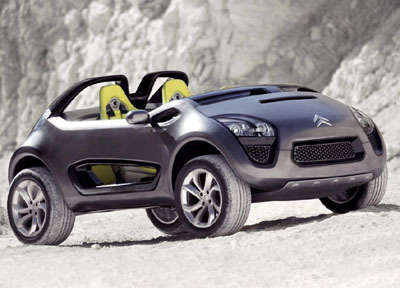 At the 2006 Madrid Motor Show Citroen unveiled the C-Buggy concept to the public. 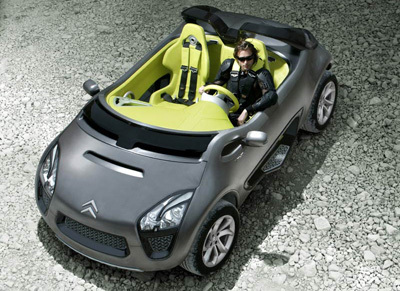 Based on a 2005 concept, the Citroen C-Airplay, the C-Buggy has similar dimensions and styling. 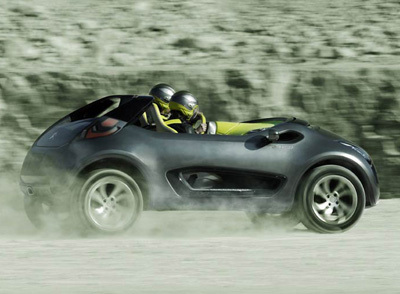 But where the C-Airplay was designed for practical city use, the C-Buggy concept is more of a radical design with its non-existent roof and dune-buggy like features. The Citroen C-Buggy concept features off-road items like a sump guard and slightly raised suspension. But it's doubtful that it could navigate over more than just the least difficult of terrain.